Cuba Offers Opportunity for U.S. Energy Companies. But When? The power flickered off four times in the 2 ½ hours that Darren Hammell waited at Cuba’s Santa Clara airport for his return flight to the United States last month. This departing experience underscored what he had learned on his trip: There is work for U.S. energy companies in the Caribbean’s largest island. But how quickly that work materializes remains to be seen–with Washington politics the chief obstacle. Hammell, co-founder and chief strategy officer of Princeton Power Systems, traveled to Cuba in April as part of a delegation organized by the New Jersey Technology Council. He was invited to learn about opportunities and to discuss the potential for distributed solar and energy storage in Cuba. 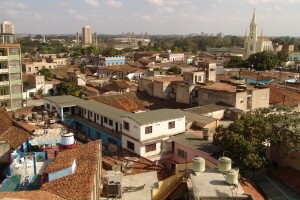 He found a strong desire in Cuba to bring in foreign investment and boost its flagging economy. But at the same time the nation is cautious, particularly given the development in surrounding islands. But the biggest stumbling block to U.S. investment is political. Don’t expect to see a rush of US energy companies into Cuba any time soon. True, the Obama administration is working on normalizing relations with Cuba, and has taken steps to remove the country from the terrorism watch list. However, a trade embargo will remain unless Congress takes action. Cuba’s energy system is ready for an overhaul. The country is both blessed and cursed by its relationship with Venezuela. It receives free oil from Venezuela. “But of course nothing is free,” Hammell said. In return, Cuba must provide professional services to Venezuela, which includes about 30,000 medical workers, according to the CIA World Factbook. Cubans are increasingly uneasy with the deal, particularly as they worry about the environmental consequences of burning so much oil. More than 98 percent of Cuba’s electricity (13.95 billion kWh annually as of 2011) comes from fossil fuels. “In one sense, it’s free to generate electricity; in another sense, the government and the population understand the real cost of burning oil,” he said. 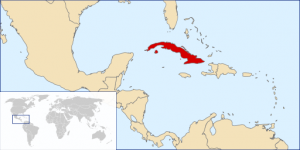 Like many nations in the Caribbean, Cuba has a stated goal to develop renewable energy. The government has identified 13 renewable energy projects it would like to develop, mostly utility scale wind and solar. And the island nation has already shown its green side with a massive installation of energy efficient lighting. Cuba banned incandescent lights in 2005 in an effort to reduce energy use. Opportunity does appear to exist for grid repair, such as replacement of transformers, and infrastructure construction, particularly in rural areas. In addition to its focus on Cuba, Princton Power Systems is working on bringing its products and services to Haiti and other areas of the Caribbean. The New Jersey company offers technology products and embedded software for energy management, microgrid operations, and electric vehicle charging. Princeton Power already has operating projects in Jamaica, Haiti, the Bahamas, and Bermuda. It is working in the Caribbean and Haiti with Home Control, a home automation, renewable energy, and audio engineering company for residential, commercial, and industrial customers. Category/ies:Bahamas News, Cuba News, Haiti, Jamaica News, News, Regional News.